How did you first get started as a DJ? Well, first, my dad was a DJ and when we were living in Cobble Hill, the equipment was all laid out. We didn’t have radio, so whenever I wanted to hear music in my playroom, I would turn on the equipment. Then I started to get interested in all the buttons and stuff and my dad started to teach me and I just loved it. My first gig was when I was almost four, and then I was doing it at my school and at block parties. Right now I think I have four gigs coming up. 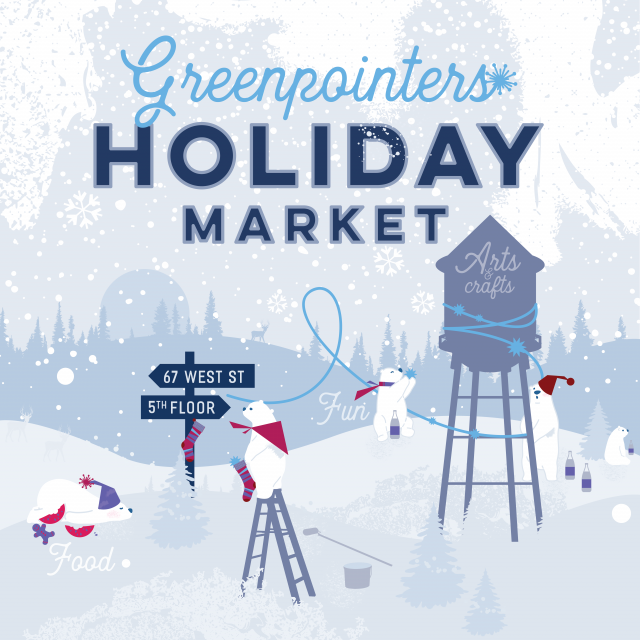 I’m looking forward to is DeKalb Market and the Red Bull Arena in Jersey. That’s real exciting; we’re going to get skybox tickets there. I think I’m going to play before the game starts. Which aspect of DJing is difficult to learn so far? Right now, I’m practicing beatmatching, which is really really hard. What do you play when you DJ? Well, if it’s a more grown-up party I play dance music, but if it’s a kid’s party like at my school, I have to play more pop. I could play like, David Guetta’s “Titanium” that song is really popular. And then like songs like for kids, they love Taio Cruz, “Dynamite” so I have to play that, even though I’m getting kind of sick of it. I just have to play it. How do adults react to seeing you? Well, I played at Orchard Street, at a party called DayLife and no one was dancing. They were just taking pictures. The other bad thing about that gig was that all the DJ equipment there was blocking me from seeing the crowd. You prefer them to dance? Well I know how a crowd is feeling when they’re dancing. Like, so if I play something they’re not really dancing to, I know I have to make a change. What’s been your favorite gig so far? I love all my gigs. I guess my school. There were more than a thousand people there. Kai wows the crowd at PS 29. How do your friends and classmates react to the fact that you’re a professional DJ? One of my friends, Colter, tells all his friends about me. I feel good when all my friends talk about it. My classmates are really supportive. I want to play the main stage at Electric Zoo. That’s where I saw Tiesto and Knife Party. 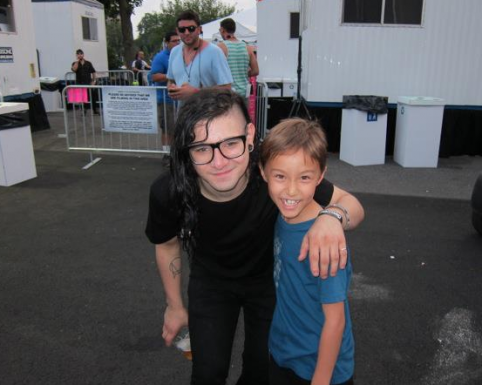 I met Skrillex there too. We talked and compared our DJ equipment. He has the same stuff as me. How did Skrillex react to meeting you? I asked him to take a picture when we were backstage and he said yeah. I think it’s cool he takes time for his fans in the backstage area. Who are your favorite artists right now? Who are you listening to? Not really. I really only buy dance music. I listen to BPM on satellite radio a lot. When I first started I played AC/DC, The Rolling Stones, The Beatles, The Who. After that I liked pop, now I like dance. Are there any shows you want to go see this fall and winter? Lars: Most shows we can’t go to because he’s underage. They won’t make any exceptions? L: Well also, he has a bedtime. We’ve been to Electric Zoo twice, but he’s really limited to seeing people and playing in the afternoon. Once he’s older we can be a little relaxed about it, but right now we still try to have him in bed by 10. 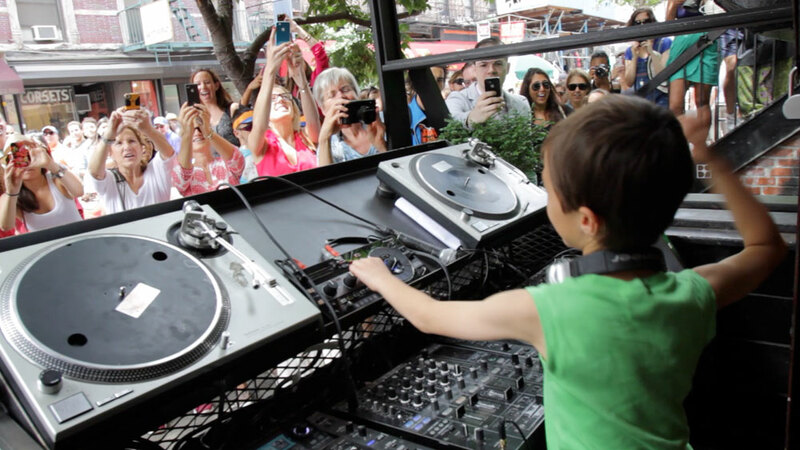 What’s the ultimate goal or ambition of your DJ career? 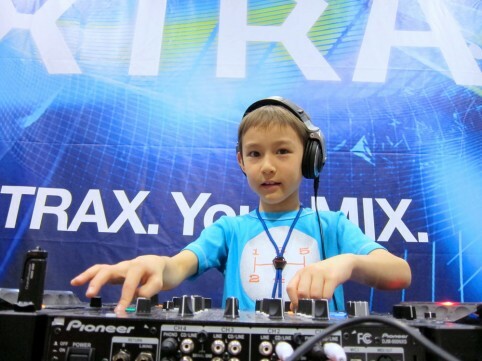 I want to be a really big DJ. One of the top 10, at least get into the top 100. 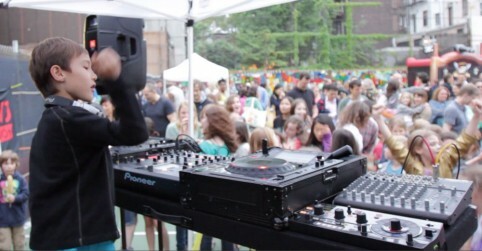 Find DJ Kai Song on Facebook and performing at Dekalb Market this Sunday.